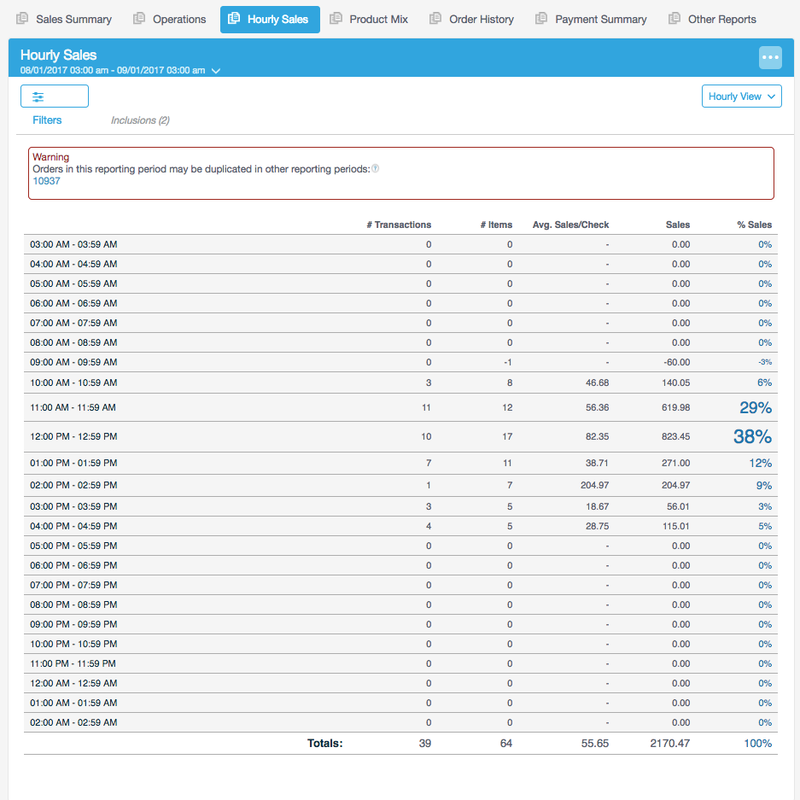 The Hourly Sales Report shows your sales volume throughout the day. Time slots: The time slots appear in the column to the far left. 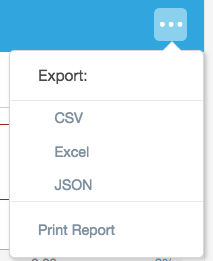 You can choose to view by the hour, by every 15 minutes, or by a grouped view that needs to be set up under Settings>Reports. # Transactions: This column will display to total number of transactions made during that time slot. # Items: This column will display the total number of items sold during that time slot. Avg. Sales/ Check: This column displays the average of all sales made during that time slot. Sales: This column displays the total sales made during that time slot.